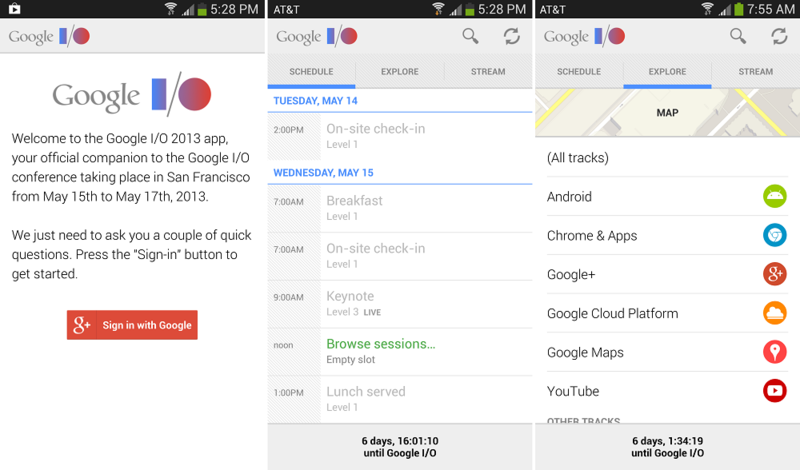 Last night, the official Google I/O application was updated for the 2013 year. Inside, there are a ton of great new goodies, including the ability to scan attendees apps via NFC, a lockscreen widget (Android 4.2+), dedicated HDMI out for livestreaming the keynote, and a whole lot more. The app is extremely polished, as one would hope for I/O, so if you happen to be going to the conference next week or will be watching the festivities from home, check it out on Google Play.